Unlike existing digital communications books that devote cursory attention to channel equalization, this invaluable guide addresses a crucial need by focusing solely on the background, current state, and future direction of this increasingly important technology. 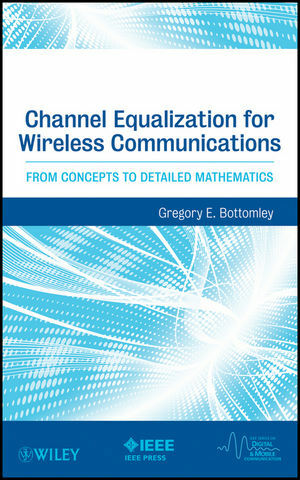 A unique mix of basic concepts and complex frameworks for delivering digitized data make Channel Equalization a valuable reference for all practicing wireless communication engineers and students dealing with the pressing demands of the information age. Gregory E. Bottomley received his PhD in electrical engineering from North Carolina State University in 1989 and has eighteen years of industrial experience in wireless communications research at Ericsson. Serving as editor-in-chief for IEEE Transactions on Vehicular Technology from 2000-2003, Dr. Bottomley holds more than one hundred U.S. patents, in addition to publishing thirteen journal papers, six journal letters, an encyclopedia article and forty-five conference papers. He was Ericsson Inventor of the Year in 1997 and IEEE Fellow in 2007.